Monroe Station served as a way point for people driving US 41 to cross the Big Cypress Swamp... Miami to Naples or the other way. Built in 1925, it was used as a way station until 1949. Motor Cycle patrols would be sent out to look for wayward motorists. Later on, it was the only place you could get gas or something to eat when crossing Florida at the lower end of the state. 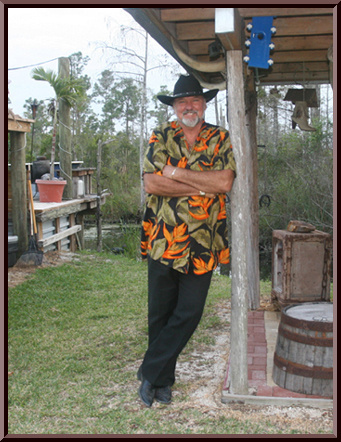 During the early 70's it was the only place to get gas, a cup of coffee, a repair or use a telephone in that area of the Big Cypress Swamp. The properity was used for many years as a place to store Swamp Buggies. 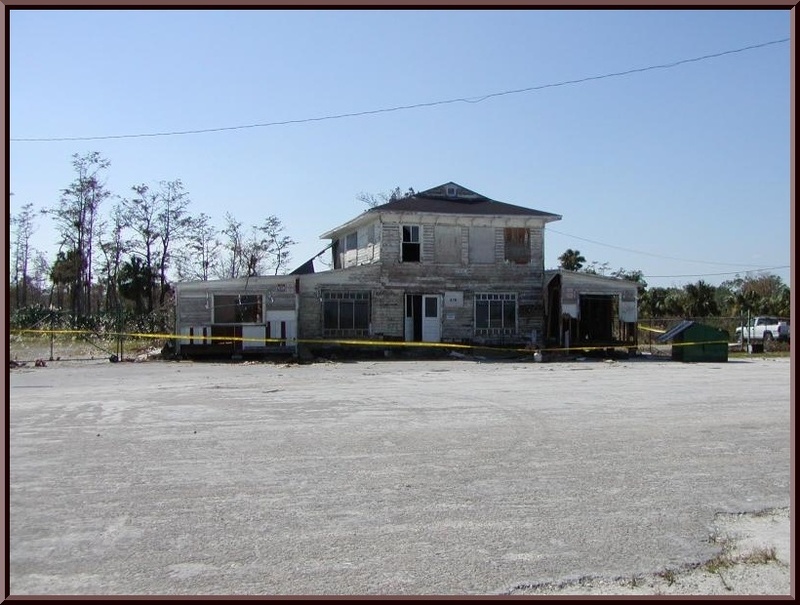 After the Government created the Big Cypress Preserve, Joe Lord, the owner... was forced to remove his gas tanks for reasons of pollution prevention and this lead to Monroe Station not being profitable anymore. The Big Cypress National Preserve took over ownership, and like other properties it has taken over, stopped doing any maintenance on it. For a while, it was rented out as space for Swamp Buggy storage, but now it has stopped that and plans call for it to be used as a tow vehicle parking area in the future. There were three structures built like Monroe Station along old US 41. One of these three structures was chosen for restoration, but it blew down in a hurricane years ago. 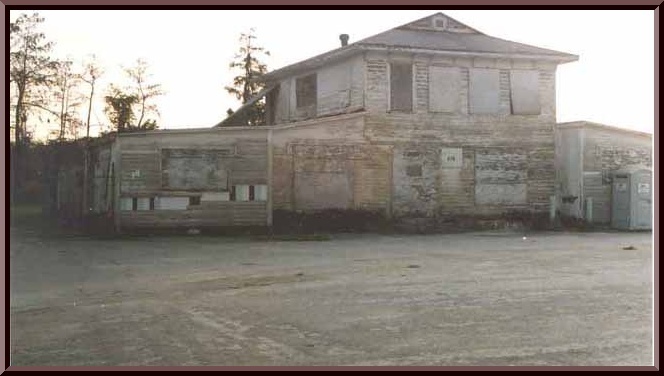 Monroe Station has been designated on the National Register of Historic Places back in 2000. That was done without the knowledge of the NPS Superintendent located in Atlanta. The National Park Services was determining what portion of it can be saved because of its poor condition. What does Monroe Station Look Like Today? What Should the Future Bring to Monroe Station? Monroe Station could be returned to a traditional use in transportation. The building is unsafe and would take a huge effort in dollars for it to be returned to use. It could be re-placed on a smaller scale, but with a building that has a similar look to Monroe Station in its prime. This building could include the Florida Game Commission check-in station, bathrooms for personel and visitors, trash collection containers and even memorabilia showing the traditional uses that the Big Cypress Swamp has had. Long-term parking for off-road vehicles should be provided for. This would make for a safer highway through the Big Cypress National Preserve by eliminating the need to tow off-road vehicles every time they are used. The off-road registration process could be moved from the visitor center to the new Monroe Station. This would remove the mixing of off-roads and automobiles from the same parking lot which will eventually lead to someone getting hurt. First I tap the brake. Then step hard! The ten foot Gator, sprawled across Loop Road stays put. With no room to turn around and no desire to drive in reverse to the nearest paved road, I honk! The gator ignores me. Insolent Creature! Fighting road rage, I inch closer... almost nudging the beast with my front tires... Nothing! Though I have no intention of leaving my truck, I open the door to see what will happen. The ka- chunk must make the vehicle seem menacing. Hissing like a dragon, the great reptile lumbers into the swamp. As the bubbles dissipate, the swamp once again becomes placid. For an instant I am tempted to visit the bank for a better look. Then I remember the late Clara McKay... the woman everybody called the "Beer-Worm-Lady"... because that's what she sold at her little store. She knew the Big Cypress, knew the way of the critters also but, one day... she let her gard down. 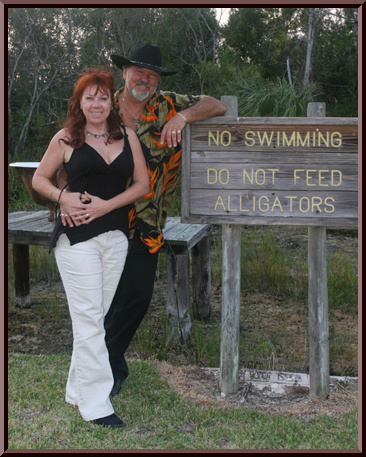 To hear her tell it, she was dipping water for her beloved pet cats when a big alligator lunged up and tore off her right arm. I remain securely behind the wheel, nudge the gas pedal and continue my journey down the Old Loop Road... and into my past. When I was a teenager, the Loop Road was a real Mister Toad's Wild Ride. 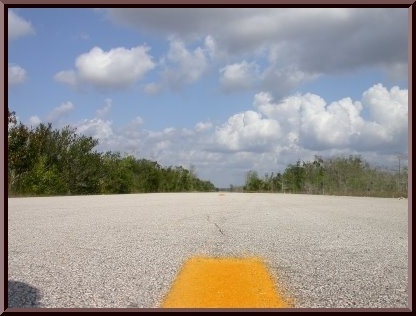 It was the most untamed place I knew, the most remote, smoke-'em-if-you-got-'em, people unfriendly byway in Florida. It was 26 hellish miles of moon-crater pot-holes, gape-jawed alligators, choleric cottonmouths and swamp men who would just as soon spit on your tennis-shoes as say hello. 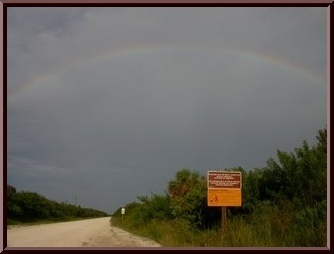 The federal government owns it now, in the 700,000 acres of the Big Cypress National Preserve. The potholes are gone and laws are now occasionally enforced, but otherwise, the Loop Road remains a marathon of crushed gravel, reptiles and watch-your-back roughnecks. 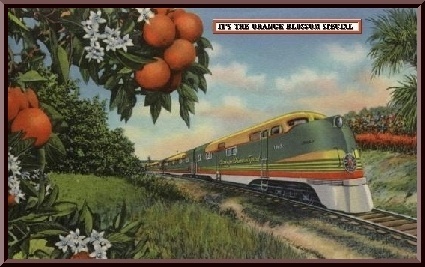 It begins at Monroe Station on the Tamiami Trail in Collier County, meanders south for a spell, then snakes back north toward the Tamiami Trail at the Miccosukee Indian Reservation in Miami-Dade County. Construction crews built the road in the 1920s but forgot to add civilization. The uncivilized nature of the Loop Road made it attractive to the nature lovers, but also the bird plume hunters, gator poachers, orchid thieves, moonshiners, pot growers and nonconformists. Many settled along the Loop where it dips, briefly... into Monroe County. The nearest Monroe County sheriff's substation is about 80 miles away by road, in the Florida Keys. An hour east of the Loop Road is Florida's gritty urban center... Miami. An hour west is the conservative and wealthy Naples. On certain places on the Loop Road, it feels like your back in the 19th century. Today, wardens from the National Park Service patrol the Loop Road, but its still the wrong place to lock your keys in the car, run out of gas or suffer a dead battery. Cell phones seldom pick up a signal on the Loop Road, but the mosquitoes and horse-flies work overtime even on a mild day in February. Years ago, everybody felt the need to be armed, but nowdays we tourists tote cameras in case we encounter a panther, bear or swamp nymphet. The Old Loop Road is Florida's Garden of Eden, before the serpent tempted Adam and Eve... and God shamed them into wearing clothes. I wouldn't be the first to see somebody cauntering down the Loop Road very fashionably naked. 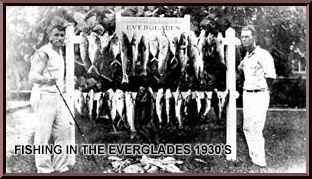 When I was a kid, dad and I fished on the Tamiami Trail, mostly in the Everglades, but sometimes farther out in the Big Cypress. In 1965, my friends and I began visiting the Loop Road on our own. We'd fish for bass at dawn and look for snakes after the sun got up. My friends and I were more comfortable among cold-blooded reptiles than warm-blooded girls. One of us would drive, the others would sit on the hood, catch the snake with a bare hand and stuff it into a pillowcase. I wish I could say we were gathering snakes for the good of science, but we weren't. We were catching (and later releasing) them for the sheer thrill of messing with something that would bite if given a chance. After a thrilling morning with the snakes, we'd stop at a place called Monroe Station on the intersection of Loop Road and the Tamiami Trail. Built in 1928, it was orignally a gas station and convenience store. 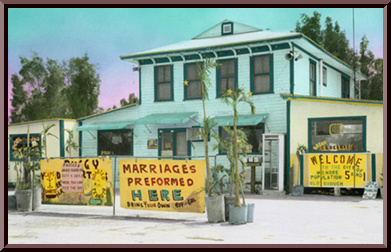 By the time I discovered it, Monroe Station was the redneck capital of South Florida. Big Joe Lord ran the place, helped by his wife Sweet Sue. 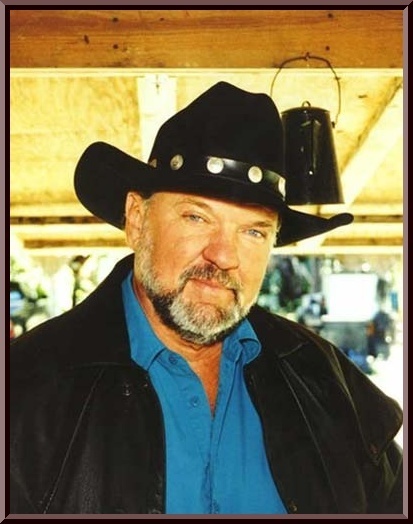 Big Joe was always angry, usually at the government, which was poised at the time to buy the Big Cypress Swamp and possibly put him out of business. He was also angry at the Vietnam War protesters, men with long hair, pot smokers, forced bussing and maybe the direction of the wind. I kept my long hair and my opinions under my hat, sat at the counter and ate Sewwt Sue's ham steak with red-eye gravy. Whenever I'm in the Big Cypress, I stop at Monroe Station for old time's sake. It closed in 1987 and is one good hurricane from falling down. Under the dust among the cobwebs, one old business card still clings to the dining room wall, "T.K. Riggs," it says "Unemployed." Call the number. Nobody there by that name. I can see rusty cans and whisky bottles through the yawning holes in the floorboards. Roach droppings, looking like coffee grounds, blanket Sweet Sue's old lunch counter. The park service plans to spend $500,000 to restore the old building. Rangers may use it as an office, a visitor center or a museum. If Big Joe's ghost haunts Monroe Station, maybe he'll stop cussing the government... but probably not. 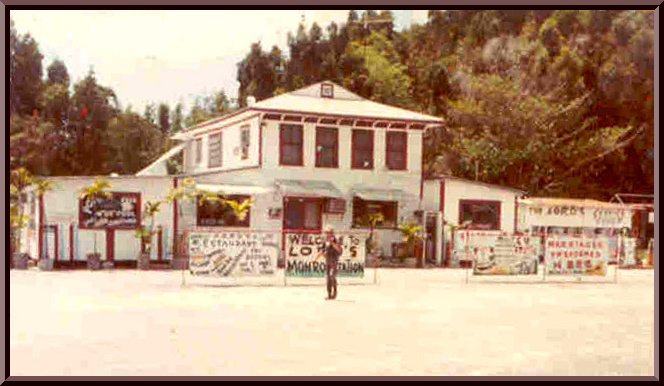 When I was a kid, another place to eat on the Loop Road was the Gator Hook Lodge, in the tiny community of Pinecrest. A sign outside the door warned, "No Guns or Knives Allowed Inside" and was often ignored. A guy named Jack Knight ran the Gator Hook. I remember him being rough around the edges but an okay guy. On Saturday night's he always hired a band. The fiddler in the Gator Hook band was a guy named Ervin Rouse, who had written Orange Blossom Special back in the 1930s. I never heard him play, but he lived out there with his dogs, Butterball and Curley. Even at lunchtime, the Gator Hook Lodge was an uninviting place, which made it attractive to teenage boys hoping for adventure. When the screen door banged shut behind you, every head in the tavern turned to see who had entered. By mid morning, many of the patrons were already staggering around drunk. "Now I ain't got nothin personal against no ranger," the poacher says. "Might could be a real likable young feller, just a-tryin to get by, same as what I'm doin. Might got him a sweet lovin wife and a couple real cute li'l fellers back home watin on him, or maybe just the sweetest baby girl... same as what I got! Ain't no difference between him and me at all!" "But if'n that boy tries to take my gators, well... I got my duty to my people, ain't that right? Got my duty to take care of my little girl back home that's watin on me to put bread on the table! Ain't that only natural? So all's I'm sayn, now... if any such feller, and I don't care who... tries to keep me from my hard-earned livin, I suerly would be sorry. 'Cause I rekon I would have to leave him out there." "Not a place for you," he said. Years ago, it took three hours to drive the Loop Road because of all the pot-holes. Now it takes about an hour, depending on Gator traffic. In some places the road is as straight as a rifle barrel, in other places it curves through the swamp like a Miccosukee's bow. The road is about 12 feet across, narrower at bridges... which by the way, lack railings. The Florida panther is the rarest large animal in North America, but I know a guy who has seen three over the years on the Loop Road. I know people who have encountered bears. 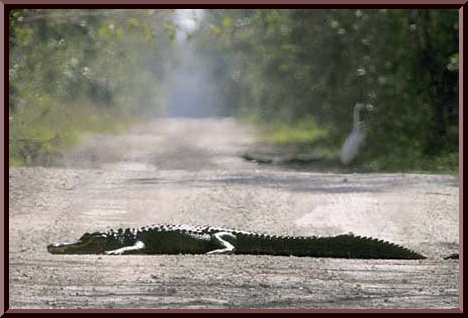 Gator in the road! It crashes like a falling piano into the black water. Bromeliad air plants on the high branches drip like icing from a cake. Pretty white ibises hop from log to log. The old-timers ate them. Now the white ibis is threatened and most of the old-timers are extinct. As I approach Pinecrest, I notice evidence of human habitation. Old Cars! Fences. Lots of threatening signs. I pull up to a fence and wait. A woman comes out and gives me the eye. I tell her I have an appointment with Sandy Dayhoff. I'm allowed in. Sandy Dayhoff, a park ranger for 35 years, represents the only official law and order on the Loop Road. 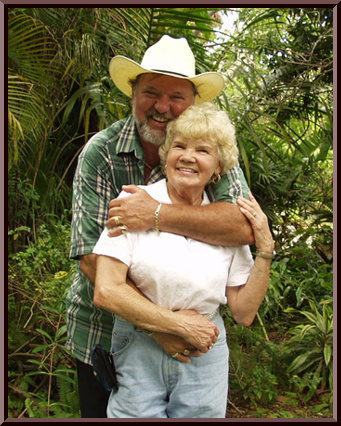 The year she turned 17, in 1962... she dropped out of Miami High School and married "One of those Swamp Boys," Fred Dayhoff. They moved to Loop Road. "We didn't have electricity, running water, phones or even a car for years. We didn't need it or want it," Sandy says. Twice a month, her mother would drive from Miami with staples, otherwise the young couple was very self-sufficient. Sandy grew vegetables and raised ducks and chickens. Fred was an accomplished hunter killing deer, hogs and turkeys. On the Loop he's called "The Invisible Man" because of his shy ways. Sandy is a private person too. I ask what she does to pass the time. "I stay busy." Read? "Yes." What do you read? "All kinds of things." Listen to music? "I love music." What kind? "All kinds." She has curly brown hair and eyes like dark pools. She looks sturdy enough to skin a hog, drag a gator out of a hole and put a curious reporter in his place. "I've never wanted to leave this place," she says. "The nights are so beautiful. Years ago the stars were so bright you couldn't believe it. The stars are still very pretty, but if you look east now, all you see is this big dome of light coming from Miami. It seems to get closer every year. During the rainy season, the mosquitoes are fierce. Bobcats eat chickens. One time Sandy's foot encountered the fangs of a snake. "Pygmy Rattler" she says. "I was wearing flip-flops. Somebody should have written D-U-M-B on my forehead." Was the bite painfull? "Yes." Go to the Hospital? "Naw." Back on the Loop Road I stop my car next to a neat grave. "RIP" the tombstone says, somebody has placed fresh flowers. Across from the grave is what looks like a fort. A sign on the eight-foot wall says "Luckys Place." Lucky turns out to be the irrepressible Lucky Cole... age 63, a 250-pounder who wears a cowboy hat and a bandanna. His hair and beard are dyed black. The mat of hair on his muscular arms is so thick, it takes a moment to identify a tattoo as a bald eagle. 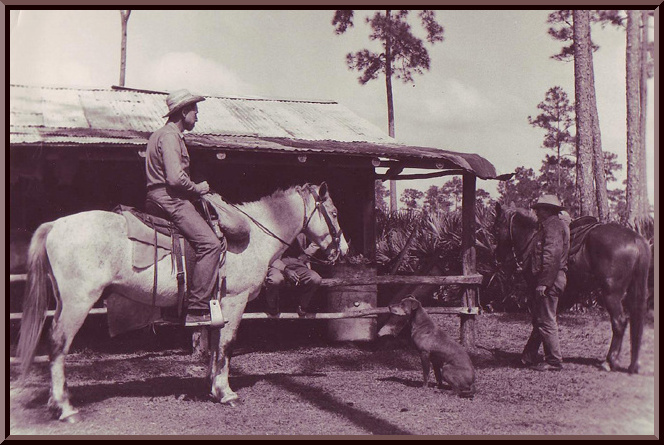 Lucky grew up in Miami but spent his boyhood weekends hunting along the old Loop Road. After a career in construction, he retired here in 1990. He started out with a modest trailer, then built a house, decks, a greenhouse and bathrooms... and even a pool. Lucky believes he has found Heaven. He loves nothing more than sitting on his deck at sundown, talking to wife No. 3, watching the birds and smoking a big cigar. He is joyfull when a thirsty tourist stops and asks for beer. Lucky doesn't run a store, but he'll provide beer, or a chaw of tobacco or fuel for an airboat, in exchange for a donation to his retirement fund... he even has a price list. As the tourist sips his beer and chews the fat, he might ask Lucky about that grave. If the tourist is from Michigan, Lucky might announce that he killed and buried an obnoxious tourist from Michigan! "Actually... nobody's in that grave," he confesses to me. "It's just a conversation piece. 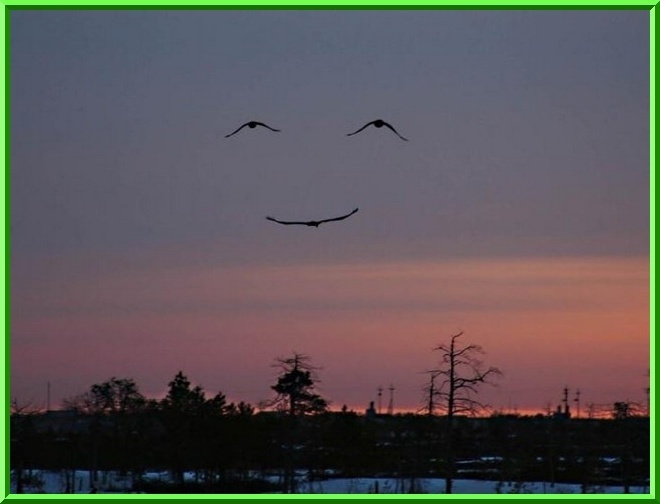 I like to have a laugh." Lucky dislikes rude people. When he asks "Do you have some spare time?" be perpared to stay a spell. He shows me his antique barber chair, his Coke machine, his neon Budwiser sign, his other doo-dads and gee-gaws. Gulp! A long-dead house cat, stuffed by a hasty taxidermist decorates the counter by the sink. I can't focus on the unfortunate cat because every square inch of wall and ceiling is covered by photographs of women... not the kind you'd expect to see on the Loop Road! His photography of sunsets and swamps are graced by models who may or may not have remembered to wear a bikini top. "They pay me to make their pictures, that's right," he says. "I give them their pictures, they use them in portfolios or just keep them to remember what they once looked like. At Luckys urging, I study photos of women straddling motor-cycles, women leaning provocatively against the mailbox out on the Loop Road, women wearing cowboy hats and six shooters and little else. I feel like I'm 15 again, sneaking a peak at the centerfold in Cavalier Magazine at Park Shore Pharmacy in Miami. If Howard the druggist catches me, he'll tell my mother. 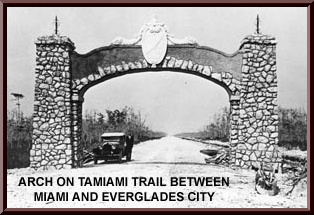 Back on the Loop Road, I head toward the Tamiami Trail... toward civilization. Most people hate driving on the Loop at night, but I never minded it... never had an emergency out there. A couple of times I shut-down the engine to listen to the frogs. A couple of time I'd stop and call for Owls. Alas, they snub me.